← How to edit the text extracted from images? When I print PDF edited by Adobe, it prints fine. When I print PDF with PDF Editor 2012 R2, then it prints all garbage after the first page. In viewing the file, the pages are upside down. Is there a problem with your product? Or is there something wrong in my using way? 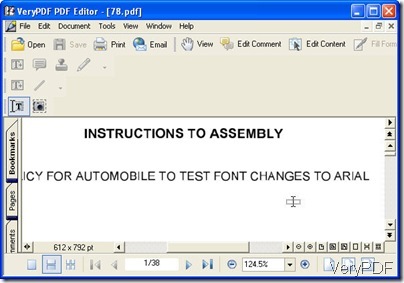 A:PDF Editor is a PDF editing software, after you added the comments or fill the forms into your PDF file, please save it first, and then open this modified PDF file in Acrobat Reader, select "Document and Markups" in Print dialog, then you can print this PDF file with comments to physical printer properly, please to try. Now let us illustrate this method by some images. 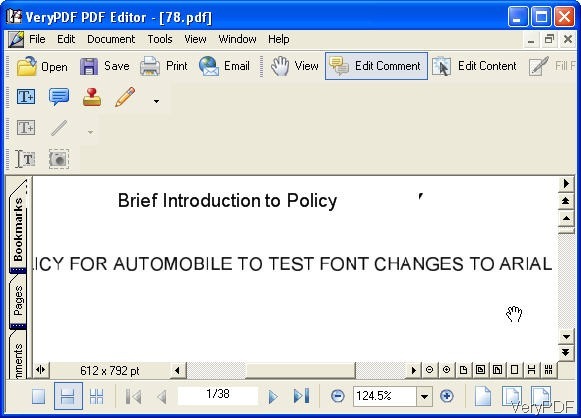 Download PDF Editor to your PC , here is the free downloading link for you: http://www.verypdf.com/pdf-editor/pdfeditor_setup.exe . 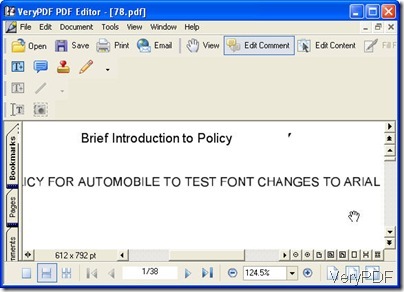 Do the PDF editing by PDF editor. The following snapshots are source file and edited PDF file content. 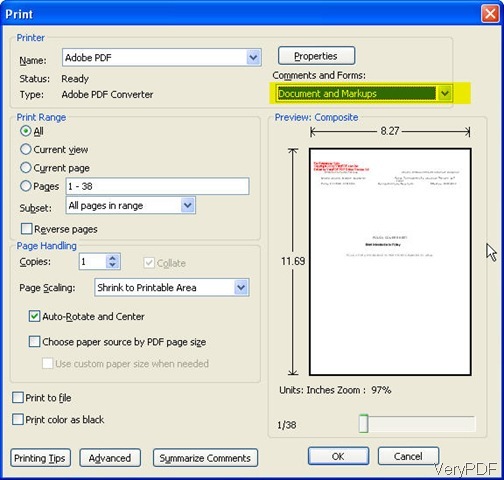 Now how to print the edited PDF by PDF editor? Save the edited PDF first by clicking File—> Save as. Open the edited PDF by PDF editor in Acrobat Reader and select "Document and Markups" in Print dialog. Now you can preview the printing effect. Here is the end of the article. If you have any question about VeryPDF software or print edited PDF by PDF editor, please feel free to contact us by the ways supported on this website. How to edit hyperlinks by PDF Editor? This entry was posted in PDF Editor and tagged print PDF. Bookmark the permalink.